Protein powder is somewhat new territory for me. When I think of it, I would envision men with muscles drinking protein shakes to get more bulky! But after talking with both male AND female trainers, I learned that it can help me to gain lean muscle mass. 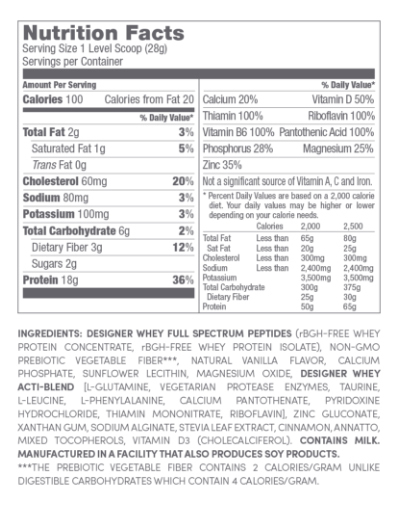 I did a little bit of research into the different types of protein shakes – everything from whey (the most popular) to soy, rice, pea, and even hemp protein. I decided to try the whey protein because in addition to helping to reduce fat and gain muscle mass, it has also been reported to improve the immune system (source: Men’s Health). 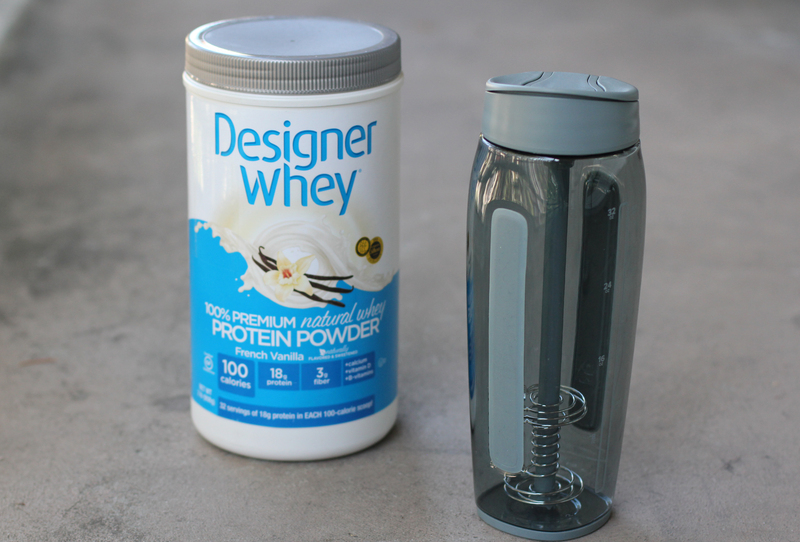 I decided to try the Designer Whey Protein because it was recommended by a friend as tasting good, and has no added sugars, hormones, or preservatives (this is not an ad or in any way sponsored by the protein powder company). I got both the vanilla (pictured above) and the chocolate (shown in the blender bottle below) and mixed it with water, and it ended up tasting pretty good! I liked the chocolate slightly better. I’ve been drinking it for the past 3 weeks, and so far so good; I’ve seen some improvement in muscle tone! I also tried several different protein powder shaker bottles (I got one for free from GNC, and one from a friend), and ended up getting the Trimr shaker bottle. 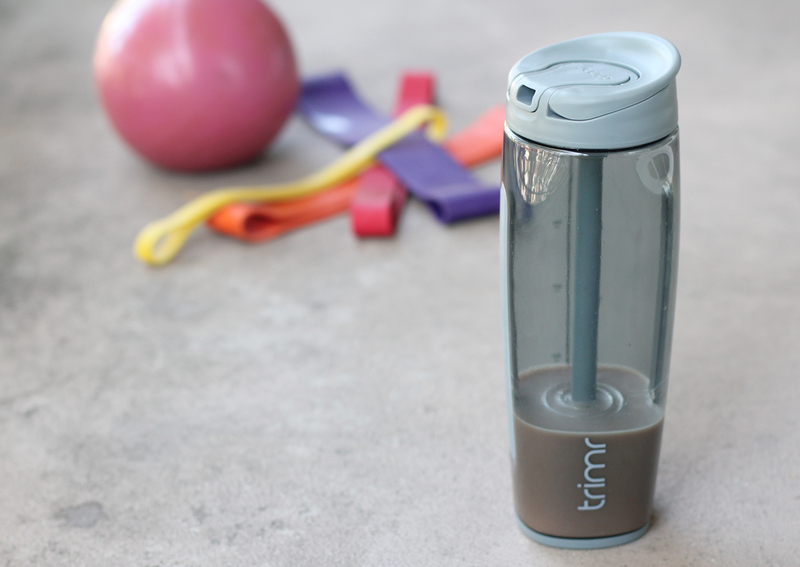 I found out that a whole bunch of people in my fitness circle love the bottle too because of its sleek yet efficient, spill-proof design and straw (rather than just a big hole at the top that can leak). I’ve chatted with some friends over there, and they’ve graciously offered a 15% discount to all of my readers with the code TRIMRGRAM if you want to try their bottles too! (This is not an ad; I don’t get commission or anything, just want to pass along the savings to you guys)! What’s your experience with protein shakes? Please share in the comments; would love to hear recommendations from you guys! Meal Prep On The Go!